Hotel Days Inn & Suites by Wyndham Vancouver, Vancouver, United States of America - Lowest Rate Guaranteed! When you stay at Days Inn & Suites by Wyndham Vancouver in Vancouver, you'll be connected to a shopping center, within a 15-minute drive of Vancouver Mall and Jantzen Beach Center. 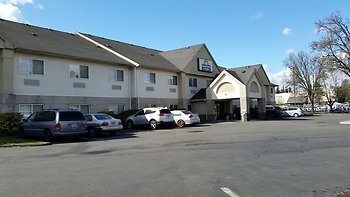 This hotel is 8.2 mi (13.2 km) from Portland Expo Center and 8.4 mi (13.5 km) from Portland International Raceway. Very clean. Beds were nice. The breakfast in the morning they only had one toaster 1 waffle maker. Take them out, all it did was make people mad. Was nice though.